Dec. 2, 2017 9:00 a.m.
A more than $2-million dollar donation will help bring new technology to cancer patients on Vancouver Island. Nanaimo resident Gordon Heys helped facilitate only the third PET/CT scanner in B.C. with a more than $2-million donation to cap the B.C. 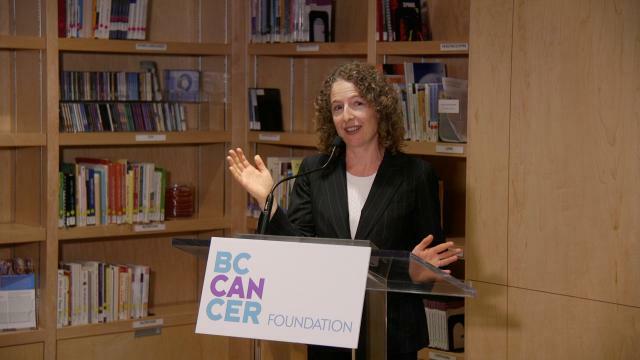 Cancer Foundations $5-million campaign to bring the cancer diagnostic tool to Greater Victoria. “(It’s about) happiness it’s going to bring to a lot of people during a time of distress,” Heys said smiling. The real estate developer and businessman is currently living through his own cancer journey enduring hormone treatment to battle a diagnosis that has included months of radiation therapy. Approximately 1,500 Vancouver Island residents travel to Vancouver every year for a PET/CT scan, used in cancer diagnosis and treatment. The only two such scanners in the province live at the B.C .Cancer Vancouver Centre. “This cancer scourge is something that we are going to beat,” Heys said.